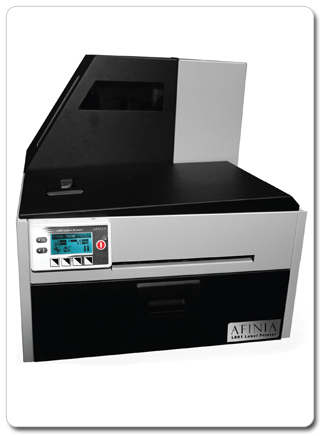 Afinia's L-801 Label Printer is a full colour, fully automated label printer. The L-801 offers print speeds of up to 60ft per minute at 8.5 Inches wide and 1600 dpi resolution. The L-801 from Afinia is the most cost effective label printer available today. With it's intergrated un-winder and large Ink tanks (1.25 Litres per colour) it's ideal for anyone needing to produce labels in-house, in either small or large quantities. Easy access doors, simple media and Ink replacement makes the L-801 very easy to use. The Afinia L-801 Label Printer is ideal for a endless list of industries and solutions.